Who said 5G phones have to be insanely expensive? Xiaomi took to Weibo to make an announcement regarding the first flash sale of Mi 9. Besides, the phone is one of the earliest adopters of the powerful Qualcomm Snapdragon 855 SoC, sustaining a long, stable peak performance thanks to a newly designed hybrid cooling system. Just last week Xiaomi announced the Mi 9 flagship in China. 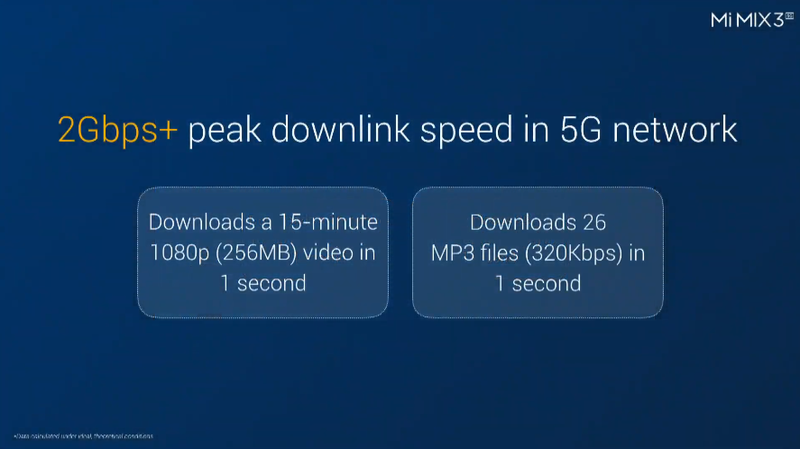 The new Xiaomi 5G phone is powered by Qualcomm's Snapdragon 855 processor paired with X50 modem. 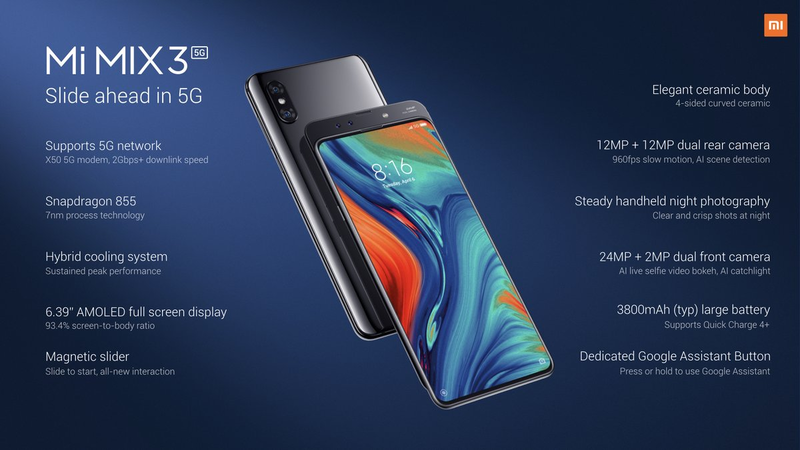 Xiaomi has partnered with several carriers in Europe to bring the device to market, including 3, Orange, Sunrise, Telefonica, TIM, and Vodafone. It has a 6.39 inch 1080 x 2340 pixel dense AMOLED display with Corning Gorilla Glass 5. The center of attraction of the show was to be the 5G enabled Mi Mix 3 variant. The Mi Mix 3 5G will be available in some European and Asian countries later this year on networks such as Three, Telefonica's O2 and Vodafone, but not in the USA where the company has yet to make a splash. Also on the back is an upgraded wireless charging coil that now supports the first ever 20W super fast Qi wireless charging standard, which is actually faster charging than the 18W QuickCharge 3.0 wired adapter included in the box. It would most likely be available in two different RAM and storage configurations, including 6GB/8GB and 128GB/256GB respectively. As far as the optics is concerned, Xiaomi Mi 9 will come with a 48-MP primary sensor, a 12-megapixel secondary sensor, and a 3D ToF (Time of Flight) sensor. The three colors available will be Piano Black, Ocean Blue, and Lavendar Violet, all with that darling halo-making nano-coating on the back to turn that one shade into a rainbow. The Xiaomi Mi 9 will be available in Europe from 28 February, retailing from €449 (about £390) for the 6GB+64GB version, and from €499 (about £434) for the 6GB+128GB.